It is hard to believe, but soon the temperatures will go down, it will get darker earlier and the kids will have to go back to school. It’s true, Fall is upon us. Thankfully some of our favorite holidays are in the season dominated by apple cider and pumpkin picking. Be sure to join Dreams Resorts & Spas for our special celebrations. 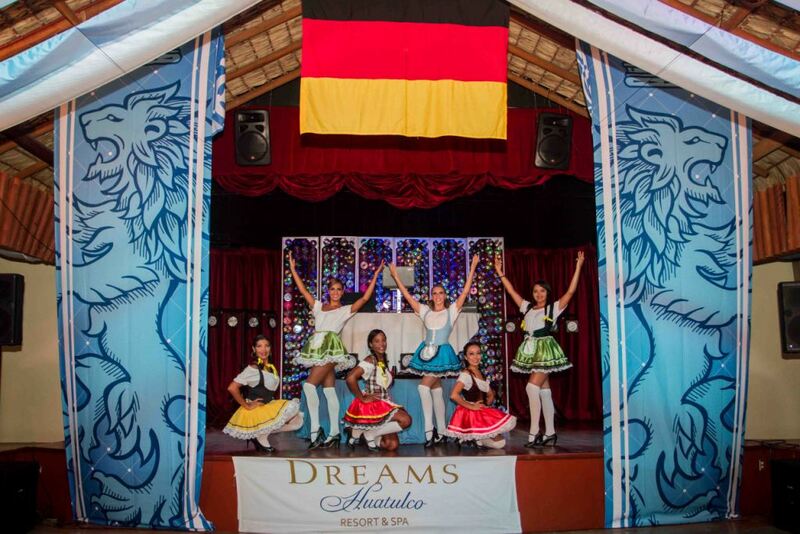 Oktoberfest at Dreams Resorts & Spas is the opportunity for two vacations in one! While soaking up the sun and enjoying the beautiful beaches of Dreams Resorts & Spas be transported to the amazing land of Germany. Guests of all ages will enjoy the traditional entertainers and authentic German influences during our celebration. Classic Bavarian beers will be on tap for the adults and the kids will love the giant pretzels almost as big as they are! With delicious bratwurst and genuine desserts to match, you will be shopping for lederhosen for the whole family! Stay tuned, we’ll have all the details coming soon. “Lions and Tigers and Bears, O My!” You never know what will be waiting around the corner for you at Dreams Resorts & Spas during our Halloween celebration! Join us for a day of tricks and treats with pumpkin carvings, a pool party and all day Halloween activities for the Explorer’s Club, perfect for kids ages 3-12. Don’t forget your costume! Whether you are going as a fun family of mummys, the latest super hero or a classic Fairytale couple you won’t want to be left out of this spooktacular celebration! Dreams Palm Beach is thankful to celebrate this harvest season on the beach! We are very excited to celebrate with all of our Canadian guests the traditional day of Thanksgiving! Be sure to join Dreams Resorts & Spas for an incredible day of celebration with special programs and events for the Explorer’s Club all centered on the classic harvest season. Even at the beach, Thanksgiving has never tasted so good with special menus in all our restaurants and of course, a Thanksgiving Feast to celebrate the many things we have to be thankful for all year round. 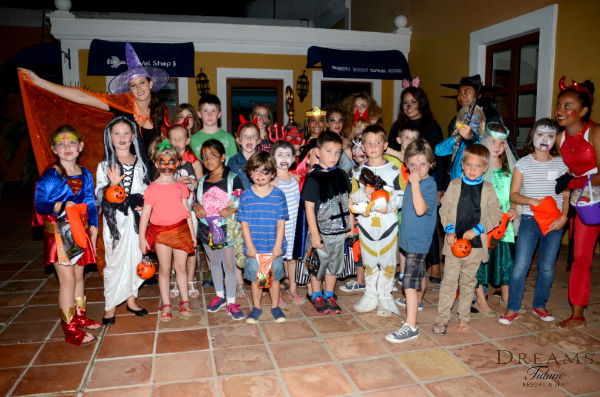 There are so many group costumes available, why not bring the kids along and make it a family vacation to share! Just in time for our favorite “Kids Stay Free” special promotion! Reserve your stay at select Dreams Resorts & Spas and two kids stay, play and eat free when staying in the same room as two paying adults during the fall of 2015! Book today and start preparing for the Monster Mash! This entry was posted in Dreams Huatulco, Dreams Palm Beach, Dreams Resorts & Spas, Dreams Tulum and tagged all-inclusive, Dreams Resorts and Spas, fall, Halloween, Oktoberfest, Special Events, Thanksgiving. Bookmark the permalink. ← Celebrating Dear Old Dad at Dreams Resorts & Spas! Interesting post with beautiful images. I enjoyed while reading.